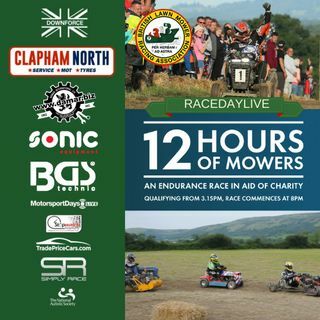 Live coverage of qualifying form the 2017 BLMRA 12H Lawnmower Race from Wisborough Green in Billingshurst, West Sussex, with commentary from Jake Sanson and Mark Akeroyd. good luck to all the racers from paul "shuvitt" lovett ,say good luck to pain in the grass racing!! !